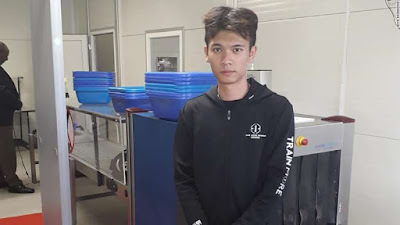 A Chinese man caught on video making racist remarks about Kenyans has been deported from the country, Kenya's immigration department said Thursday. In the video, which circulated widely on social media, the man identified by officials as Liu Jiaqi was heard calling Kenyans "monkeys." He also insulted Kenyan President Uhuru Kenyatta in the three-minute video -- among other derogatory comments that have caused furious reactions in the East African country. Liu said he disliked Kenya because it "smells bad and (its people are) poor, foolish and black." Authorities said Liu's work permit was revoked after his arrest and he was deported on "racism grounds," the immigration department posted to its official Twitter account. The Chinese Embassy said the incident was filmed in June by one of Liu's employees at the Sonlink motorcycle company, where he was CEO, according to local media reports. Liu was later punished by his employers and had since apologized to the staff for the derogatory remarks in the video, the embassy spokesman said. Zhang Gang, a spokesman for the Chinese Embassy in Nairobi, told Kenyan website Capital FM that Liu's comments did not represent the views of the majority of Chinese in the country. "The personal talk and personal feeling of this young man do not represent the views of the vast majority of Chinese people," Zhang told the site.